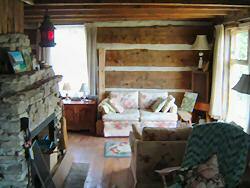 Cedar Brae cottage is a log home (1853) located in Benmiller nestled into a hillside overlooking the Maitland River. 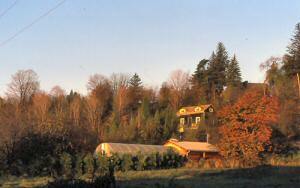 Benmiller has been home to the Benmiller Inn and the Falls Reserve since the early 70's and is just a 10 min. drive to the town of Goderich with the lake at your disposal and many attractions to take in. There are plenty of hiking trails in the area to stretch your legs or birdwatching. For more information and photos, please visit www.cedarbraecottage.ca.